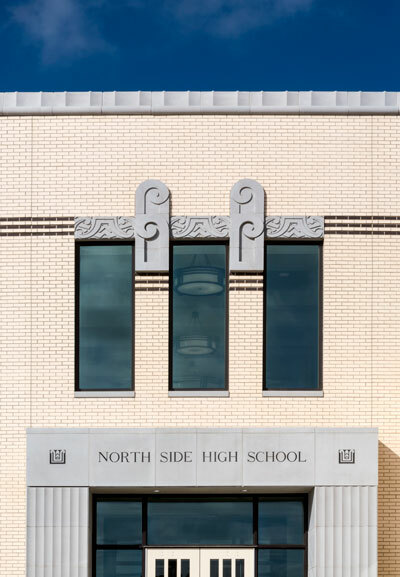 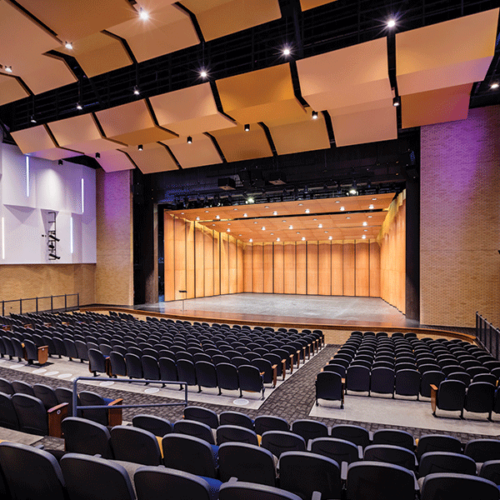 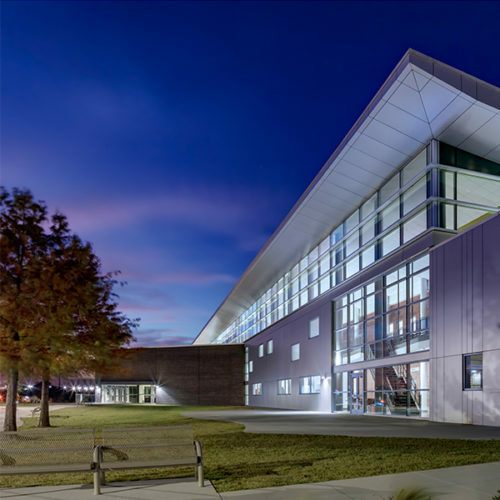 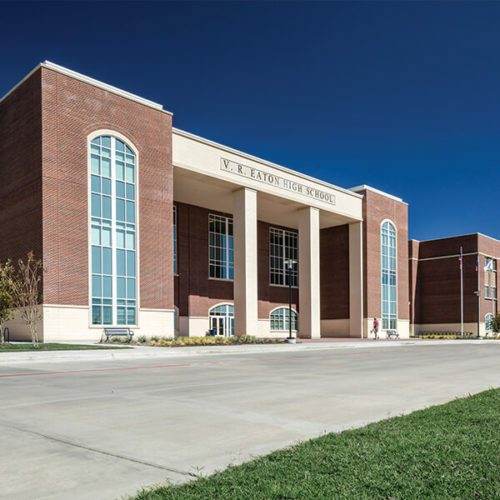 North Side High School was selected to be the home of the Culinary, Hospitality and Event Management Program. 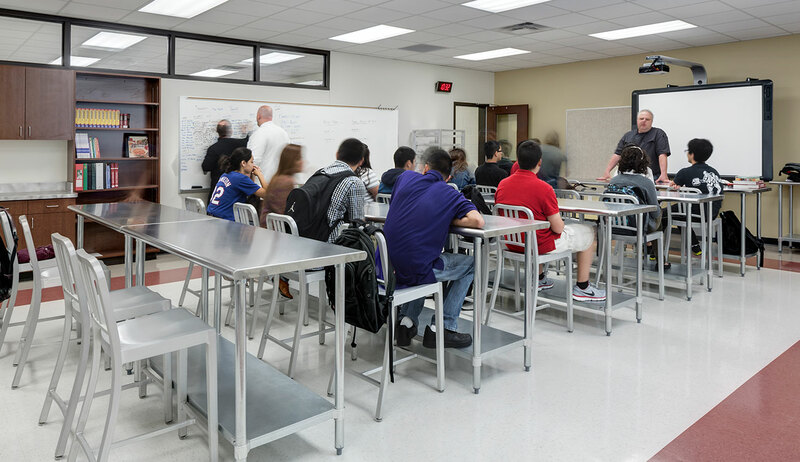 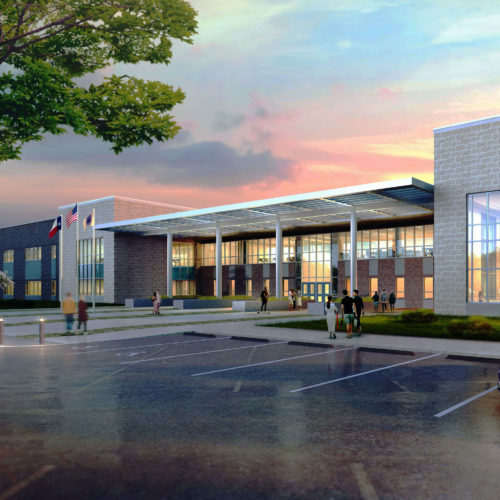 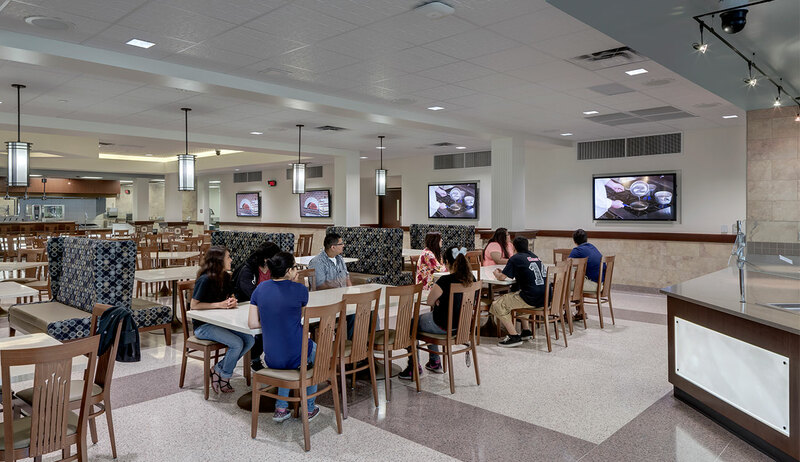 The addition includes core classrooms, culinary arts classrooms, display and lab kitchens, and a dining area. 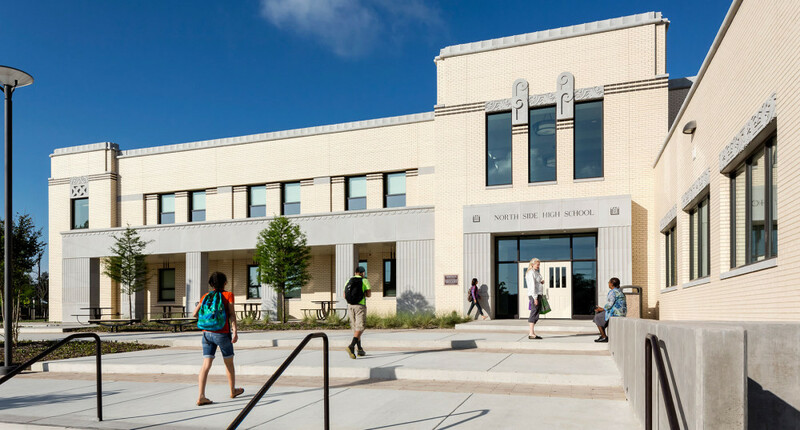 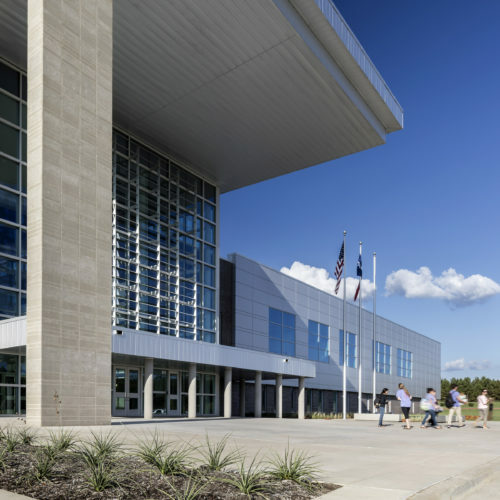 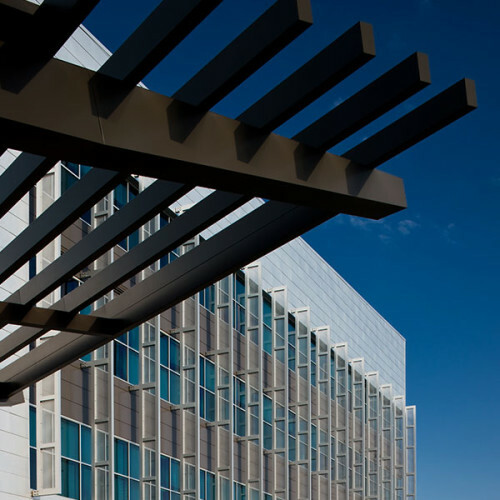 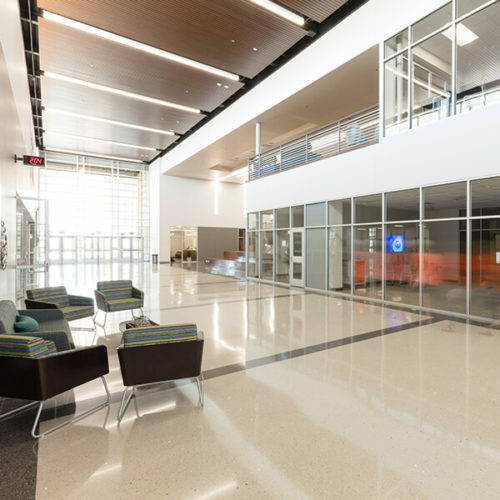 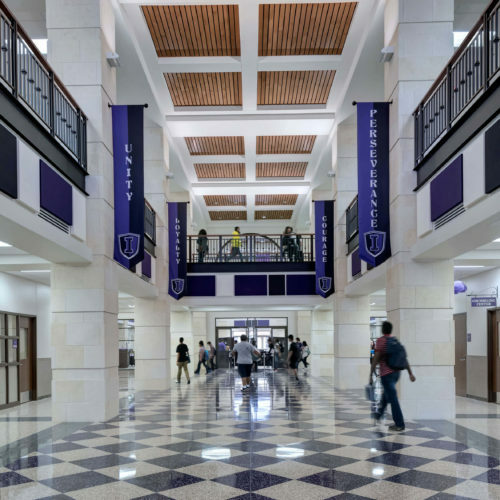 Overall, the design team incorporated modern interpretations of existing details including linear classical features of Greek and Roman architecture, the Egyptian and Mayan motif engravings above the doorways and the suggested Roman columns of the building capstones along the building roof line. 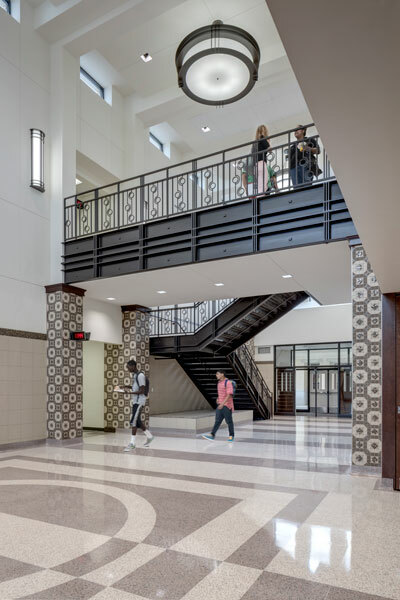 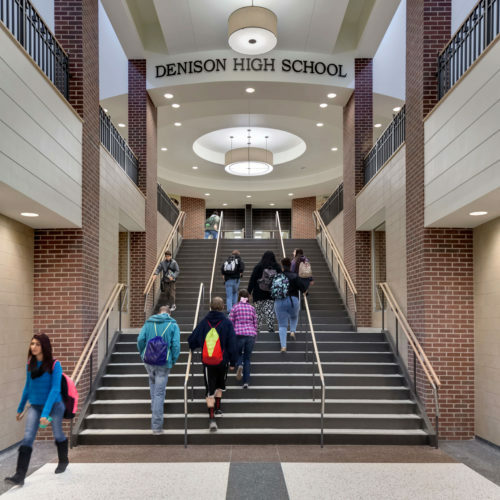 On the interior, the art deco colors of greens, reds, blacks and beige were incorporated in the terrazzo flooring, corridor wall tile wainscoting, wall tile mosaic accents, and the ornamental stair railing. 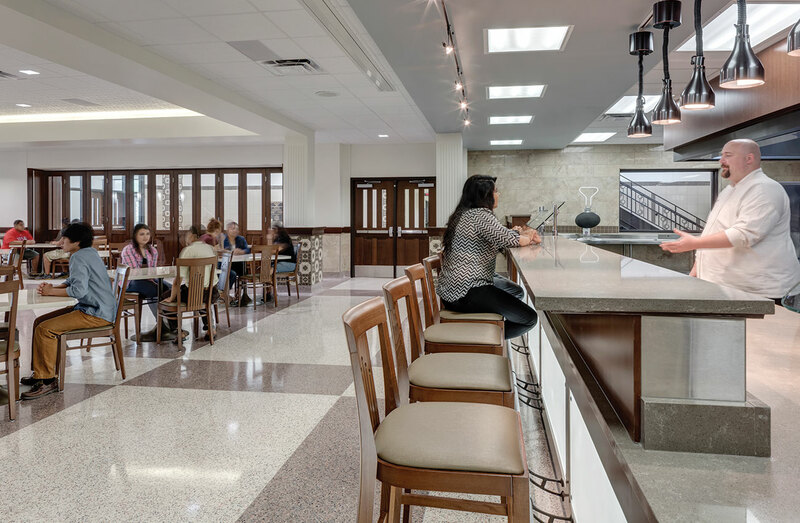 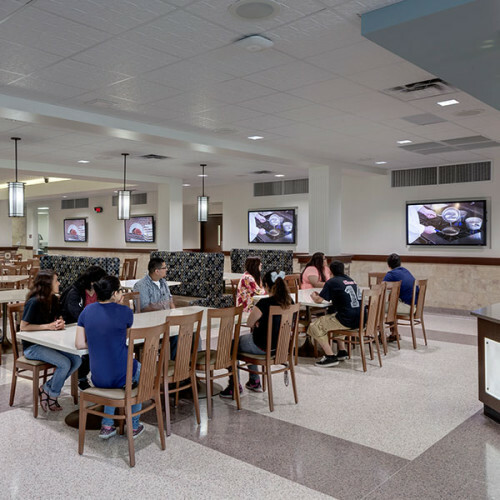 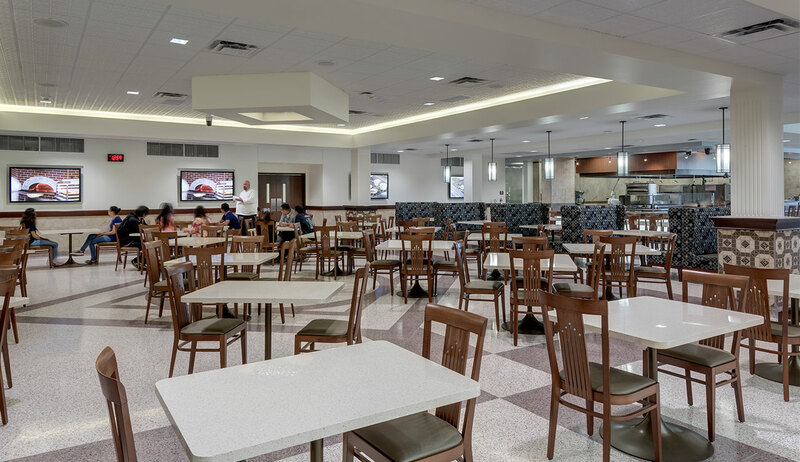 Interior finishes in the culinary arts dining room are simple but sophisticated to support a variety of venue types and to maintain a cohesive design aesthetic that is sensitive to the existing art deco vocabulary.